The Runaway Kid’s adventure comes to a close in the final chapter of Little Nightmares’ DLC, and based on the trailer, it looks like another spooky trip through a puzzle-filled haunted house. Here are our picks for the 10 best stealth games on PC. 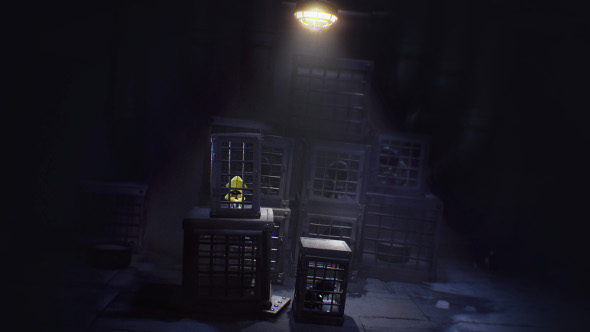 Collectively titled “Secrets of the Maw,” Little Nightmares’ DLC has told a story parallel to the main game’s that fleshes out and expands the unsettling world of dusty darkness and giant, grasping hands. So far, the Runaway Kid has had to escape Granny and learn about the Nomes, the nervous creatures that skitter around under tall conical hats. The final chapter, The Residence, pits players against The Lady, who adds some new traps and enemies to Little Nightmares’ creepy puzzle formula. It’s included with the season pass, and available now on both Steam and GOG.